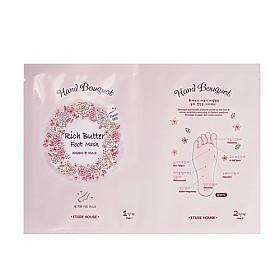 Radiant your Skin Care with the [Etude House] Hand Bouquet Rich butter Foot Mask! we aim to provide you best korean products to take good care of your skin, including Cosmetics, Bath&Body, Hand&Foot Care. Hydra Hand&Foot Care online. 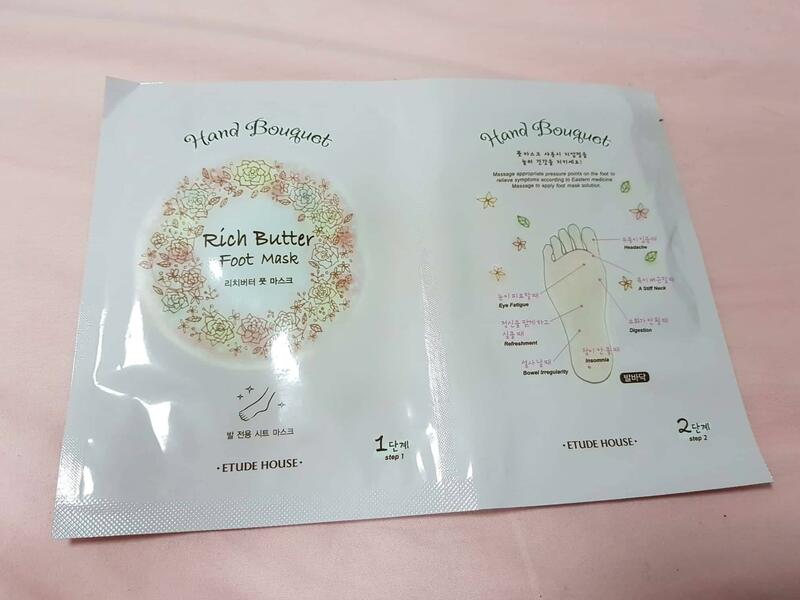 Hand Bouquet Rich butter Foot Mask is a special foot mask with skin soothing and moisutrizing ingredient to get rid of dull and dead skin cells on the foot. This peeling liquid removes foot calluses from rough feet fast and conveniently without irritation. Ingredients such as AHA and BHA help remove excessive food calluses, and peppermint extracts relieve stress from feet. Enjoy baby soft feet with Hand Bouquet Rich butter Foot Mask. 1. Put sheets on your feet. 2. Keep both sheets on your feet and pour the liquid into both sheets. 4. In 4 to 6 days, the dead cells will naturally start falling off from you feet. eth…@gmail.com Gave this away as a gift. It is okay. The packaging is pretty. ari…@yahoo.com Since it’s my first time using this, I really cant say that it’s effective. maybe i should try more of this. but after using this, my feet feels softer. 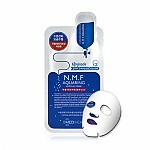 lup…@yahoo.com Ordered this product by accident. I was actually looking for a peeling/exfoliating type of product. That being said, the product is just ok. It is moisturizing, but I feel like the effects did not last very long. By the next day, my feet were just as dry as the were before using the product. Perhaps this is something that has to be used on a consistent basis to see any true results.